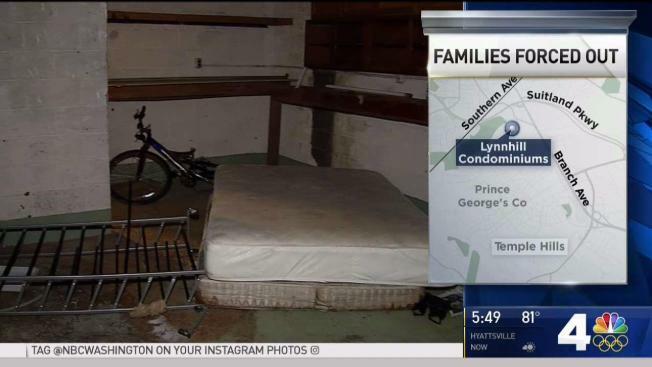 Fire code violations may force residents of an apartment complex in Temple Hills, Maryland, to vacate for a second time after the fire department told residents the building was unsafe. On Friday, firefighters taped signs to the condo doors, letting residents know if the building managers don’t fix the problems by Tuesday, everyone will have to leave. William Johnson, Jr., attorney for Lynnhill Condominiums, says they have tried to make repairs when needed, but money is tight. Most residents have moved out, and squatters have taken their place, he said.